One amazing fact is the Costa Rica Military has been gone for nearly 70 years, since 1948. They have existed in peace despite civil wars and other conflicts experienced by most of its neighbors. Costa Rica’s army ceased to exist when disbanded Dec. 1, 1948, by President Figueres Ferrer after he called together armed forces and won its civil war. Costa Rica has remained peaceful. In fact the history of Costa Rica is defined by these levels of peace, even in their fight for independence. On Dec. 1, 1948, a large part of the world was still feeling the effects of World War II. Costa Rica decided to go another way entirely. President José Figueres Ferrer dissolved the army of Costa Rica after winning a civil war. The civil war was lasted all of 44 days which have gone down in history as the most bloody event. The battle was initiated by the rebel party and led by Figueres who proclaimed that Presidente Otilio Ulate won the elections by committing fraud. One of Figueres’ first actions as newly elected president, was to abolish the army. Some believe this action to be simply to prevent a military coup against him. 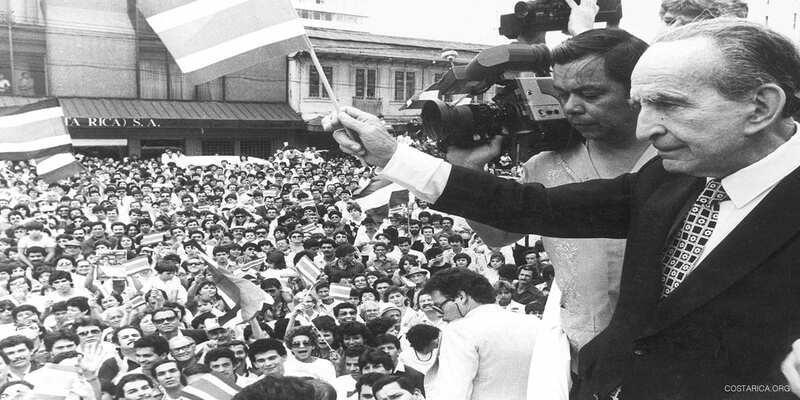 Whatever his motives, the government of Costa Rica remains democratic to this day. In 1996, the Police Force was created to patrol the border and control operations against drug trafficking as well as to provide general law enforcement. There is also an Intelligence and Security Directorate in place and The United States Coastguard is extremely active in Costa Rican waters. They are actively involved in intercepting drug shipments and other illegal trades. Ticos are extremely proud of the fact that they have no army. Costa Ricans put effort into differentiating themselves from many of their more troubled and violent neighbors as well as their social, political, cultural, and environmental progressive policies. Civil war has not erupted in Costa Rica since 1948. In this same period, Nicaragua, Guatemala, Mexico, and El Salvador have all had civil wars and poured a lot of money into their military. Similarly, Panama has had significant problems with a military coup in the 1980s, and only disbanded their army in 1996. Now, they are becoming more stable. After the demilitarization, Costa Rica turned its attention towards developing political stability and set a police force in place, promotes education, fights for environmental protection, public health and cultural preservation. Additionally, the absence of an army makes it possible each year to fund all of the country’s public universities, as well as several public hospitals. Now they are making big changes regarding human rights as well as animal rights.